3 Bedroom Semi Detached House For Sale in Leicester for Offers Over £290,000. 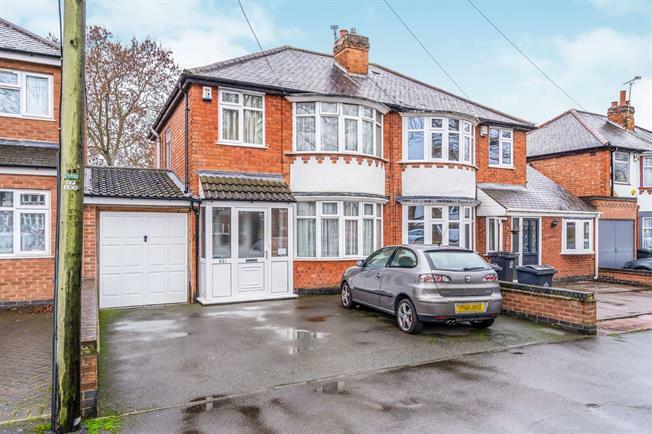 A well presented and extended three bedroom semi detached property which has accommodation comprising porch, hall, ground floor WC, spacious lounge and a fantastic kitchen diner. On the first floor are three bedrooms and family bathroom. Outside the property benefits from ample off road parking to the front, garage to the side and a generous size lawned garden to the rear. This fabulous property would make the perfect family home and should be viewed internally to fully appreciate the accommodation on offer.